It’s so bitter that you still can feel the aftertaste for hours, but it has so many benefits: it’s Sambiloto, or also known as bitter leaves. Sambiloto (Andrographis paniculata) is an annual herbaceous plant in the family Acanthaceae, which is native to India and Sri Lanka. It is widely cultivated in Southern and Southeastern Asia, where it has been traditionally used to treat infections and some diseases. Sambiloto is known in Ayurveda as Kalmegh or Kalamegha (dark cloud). The Sambiloto leaves contain ketones, alkane, aldehydes, potassium, sodium, calcium, acid grit, and resin. No wonder that it is widely used in traditional medicine, including Indonesian traditional Jamu drinks. Jamu Pahitan Sambiloto (bitter Sambiloto Jamu) is usually offered for women to reduce menstrual pain and treat yeast infection. Boil 10 grams of dried bitter leaf, 25 grams dried turmeric and 200 cc of water. Strain the liquid, and when still warm, add 100 cc of honey and stir well. Divide into 3 parts and consume three times a day. This bitter leaf is suggested as potential as a therapy for inflammatory bowel disease. The ethanol content in Sambiloto has been shown to cure acute dysentery and gastroenteritis. If you are a smoker or passive smoker, Sambiloto can be helpful to act as a shield against the pollutants from cigarettes. Through the consumption of Sambiloto juice or Jamu Pahitan, smokers and those breathing secondhand smoke can help protect themselves against the health dangers associated with the habit. Oxidation is constantly assaulting one’s cells systems. Unchecked condition can lead to precancerous cell to form. According to research conducted by Food Chemistry, there are antioxidant properties found in Sambiloto that when added to a person’s diet, offer excellent disease-fighting properties. This especially applies in Indonesia where mosquitoes are normal encounters. It is believed that when someone’s regularly drink Jamu Pahitan or bitter leaf juice, they have certain “scent” that repels mosquitoes. It is a great way to prevent mosquitoes-related diseases like malaria or dengue fever. Sambiloto contains linolenic and linoeic acid that we need on our daily diet. According to a study in the American Journal of Clinical Nutrition, when people consume large quantities of linolenic and linoleic acid, they were at the lowest risk for cardiovascular disease when compared to those who did not. Although Sambiloto has many benefits for health, it can cause side effects such as loss of appetite, vomiting, rash, headache, runny nose, and fatigue on those who are allergic to it. 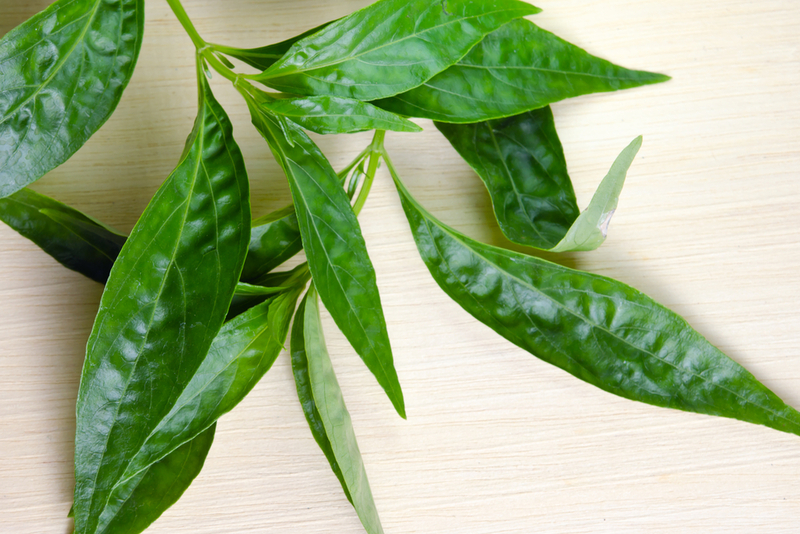 The use of all remedies made from bitter leaves must be avoided by pregnant and nursing women because of potential side effects. In short, it is recommended to use this remedy moderately, and contact your doctor quickly if problem appears after the consumption.